(l to r) Nimet Karakus (TUR), Inna Weit (GER) and katsiaryna Hanchar (BLR). Womens 200m. Day 2. 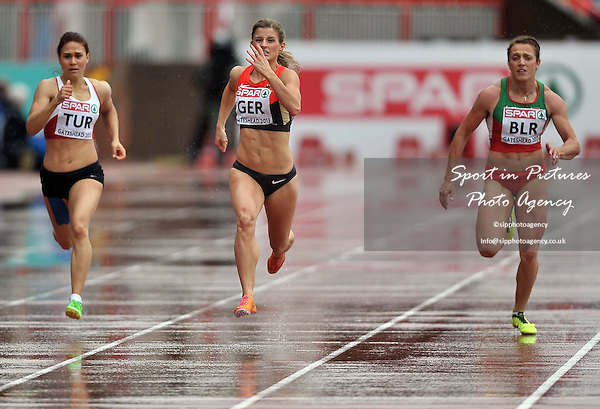 European Team Athletics Championships. Gateshead. Tyne and Wear. UK. 23/06/2013.